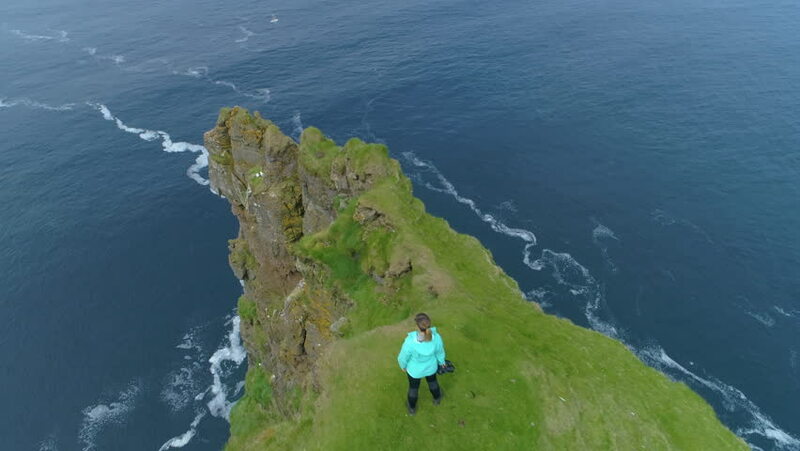 AERIAL: Flying over unrecognizable woman standing on the edge of a tall cliff in Faroe Islands. Spectacular view of girl photographer observing the endless ocean from the edge of a steep grassy hill. hd00:35Aerial view of Bohol coast Island with boats. Aerial. Philippines.